The oil and gas sector plays a strategic role for Ivory Coast. The country currently produces 60,000 barrels of oil per day but the short-term goal is to produce about 200,000 barrels of oil per day. This goal is expected to be reached by 2020. Even though for the moment the country is known more as an oil refining country rather than as an oil producing one, while it does not have the prolific offshore oil fields of Nigeria, it does possess an upstream oil industry and offers very promising opportunities for deep sea exploration and drilling, as the deep sea oil rich basin is only 20% explored. Its recoverable oil reserves have been estimated at 100 million barrels and recoverable gas reserves at 1.1 Tcf. Oil producing fields are Lion and Panthere (condensates). 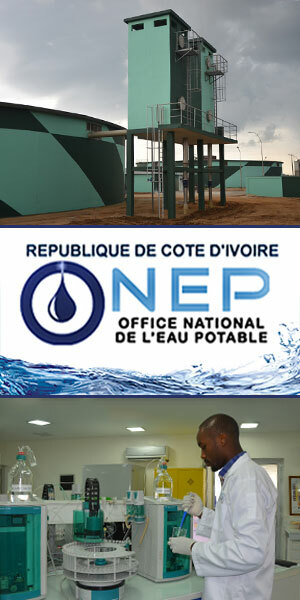 Ivory Coast Oil and Gas Sector The national oil company, Petroci, was established in 1975. Petroci was restructured in 1998 and four new entities were created: Petroci Holding, a fully state-owned company that is responsible for the state's portfolio management in the oil sector and the three subsidiaries; Petroci Exploration-Production, responsible for upstream hydrocarbon activities; Petroci-Gaz, responsible for development of the gas sector; and Petroci Industries-Services, responsible for all other related services. Ivory Coast Oil and Gas Sector Vivo Energy is Shell’s exclusive licensee in Africa. A joint venture between Vitol, Helios Investment Partners and Shell. The Vivo Energy Côte d’Ivoire retail network includes over 150 service stations, nearly half of which are located in Abidjan, with the remaining sites spread throughout the country, giving the company nationwide coverage. Vivo Energy Côte d’Ivoire is also one of the main players in the commercial fuels and lubricants market. Ivory Coast Oil and Gas Sector Total Côte d'Ivoire is a subsidiary of the Total Group, established in Ivory Coast since 1947. It is one of the main fuel distribution companies with 28% market share, 46% in lubricants and and 33% in bulk liquefied petroleum gas (LPG). The company's turnover is around 149,700 million FCFA and its network comprises 140 stations. 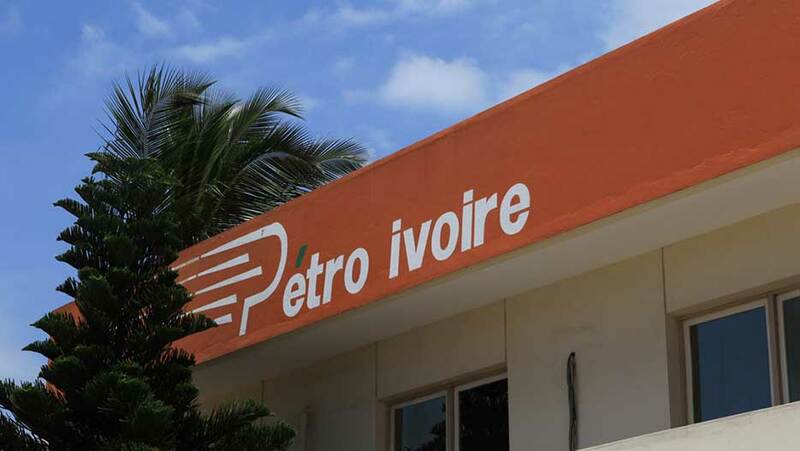 Ivory Coast Petroleum Products Distribution Petro Ivoire specializes in the distribution of petroleum products and derivatives and operation of gas stations. It markets diesel fuel, super unleaded, kerosene, lamp oil, lubricants, asphalt, fuel oil, liquefied petroleum gas (LPG) to individuals, professionals, maritime, air transporters and industries. Ivory Coast Energy Sector CIE is a private operator which has been in charge of electricity supply across Ivory Coast since 1990. CIE operates under a leasing contract with the State, its contract has been renewed in 2005 for 15 additional years. CIE operates the State-owned generation, transmission and distribution assets and markets, imports and exports electricity. Ivory Coast Energy Sector The Ivorian government contracted out the construction of the Azito Energie thermal power plant in 1998. The plant has a current capacity of 300 megawatts that will increase to 427 megawatts after completion of the expansion project. It is one of the most powerful, modern and efficient power plants in West Africa. Ivory Coast Refinery Sector SIR, the Ivorian Refining Company, refines crude and semi-finished petroleum products generally imported from Nigeria, Europe and America. SIR exports its finished products from Mauritania to Angola. The priority market for SIR is Mali and Burkina Faso prior to export to other countries. SIR is one of the top companies in Ivory Coast with a turnover of around 100 million Euro. It exists since 1962. Ivory Coast Refinery Sector SMB, the Multinational Company of Bitumen, is a company producing bitumen strategically placed to capitalize on the sub-regional demand for bitumen. SMB was created in 1976, when the government of Ivory Coast authorized Petroci to achieve a bitumen manufacturing plant through SMB.